Gizmodo Australia recently uncovered an internal training document, according to which the Google tablet will be manufactured by Asus and will be a 7-inch device. As per speculations, this new Google tablet will be unveiled in the upcoming Google IO event. There have been multiple rumors in the past regarding Google working on a 7-inch Nexus tablet which will supposedly be manufactured by Asus. Gizmodo recently got their hands on an internal training document which confirms all the rumors. Google plans to set a new benchmark for pricing with its Nexus Tablet. 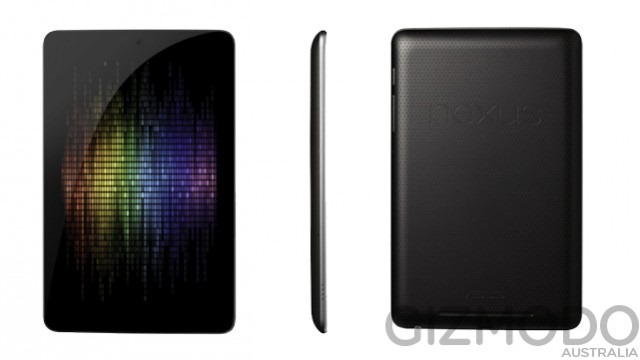 Nexus 7 Tablet will be the cheapest Android tablet in the market. Yes, its even cheaper than the Amazon Kindle. Google intends to compete directly with the Amazon Kindle with the Nexus 7 Tablet. Another thing to take note is that the Nexus 7 has a lot better specs than its competitor. On top of that the Nexus 7 Tablet will be the first device to run Google's latest Jelly Bean Android 4.1 OS. The Google Nexus 7 Tablet sure seems very interesting and there will be lots of people wanting to get their hands on this device if the pricing and the specs are to be believed! We will simply have to wait till the upcoming Google IO event to find out if the leaked document has some truth behind it.